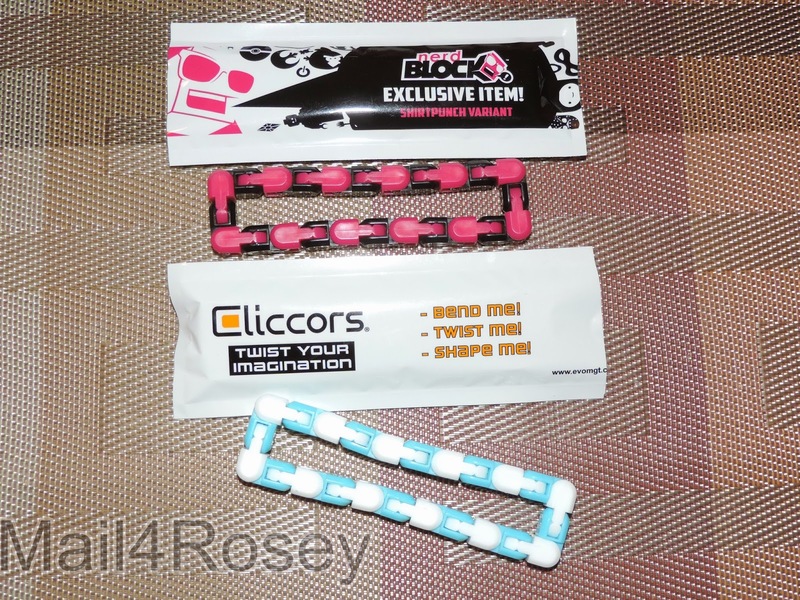 Disclosure: I received a sample box from Nerd Block, Jr. to help facilitate the review. All opinions stated are genuine and my own. 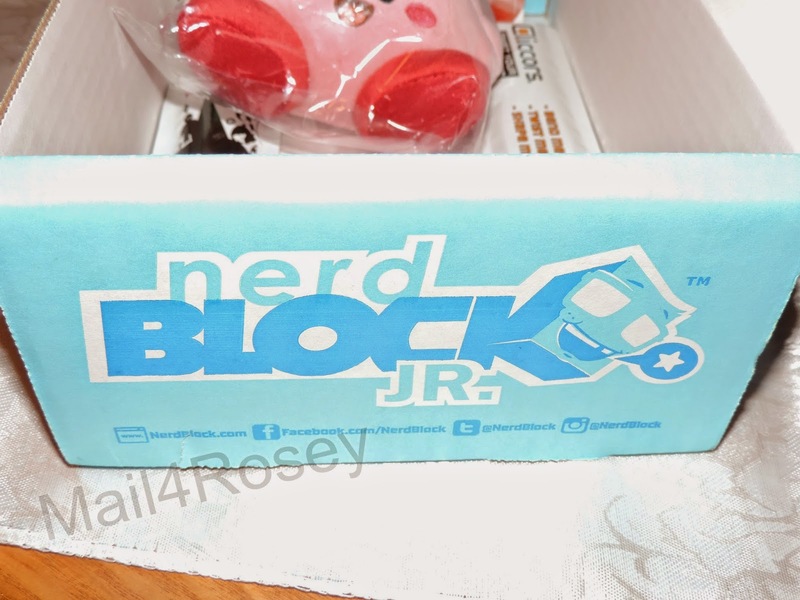 So many people are all-in on the monthly subscription boxes that I would be remiss if I didn't bring up Nerd Block, Jr. on the blog! Nerd Block, Jr. is a monthly subscription box that you have delivered. Inside of it are items carefully selected by the staff for your boy or girl (you get to choose your gender). It is designed to bring a little touch of monthly fun to your kiddo(s). We knew when we opened our box and saw the 'Aww Yeah!' printed on the side that we were going to have a good time. We were right too... inside of the box was a cool assortment of items for my son to sample. The Cliccors were a big hit because you can bend and twist them into different shapes. They're made of interlocking plastic and they go right back into shape without any problem at all. These kinds of things are a hit with the boys and girls when they're in the 1st-grade. Little ones like to wear something around for a bit that's new. If it's got a play factor like these do, well then, that's even better. Little figures, likewise, are a big deal. 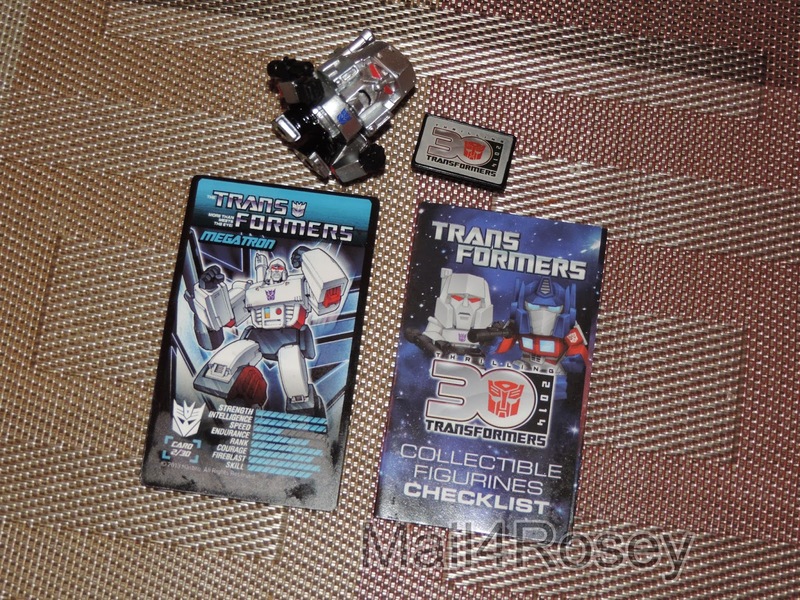 The Transformer above came with a little display stand too (that's what is next to the figure in the picture). A check list was included so the kids could see which figure they had, and which ones are still available for purchase. 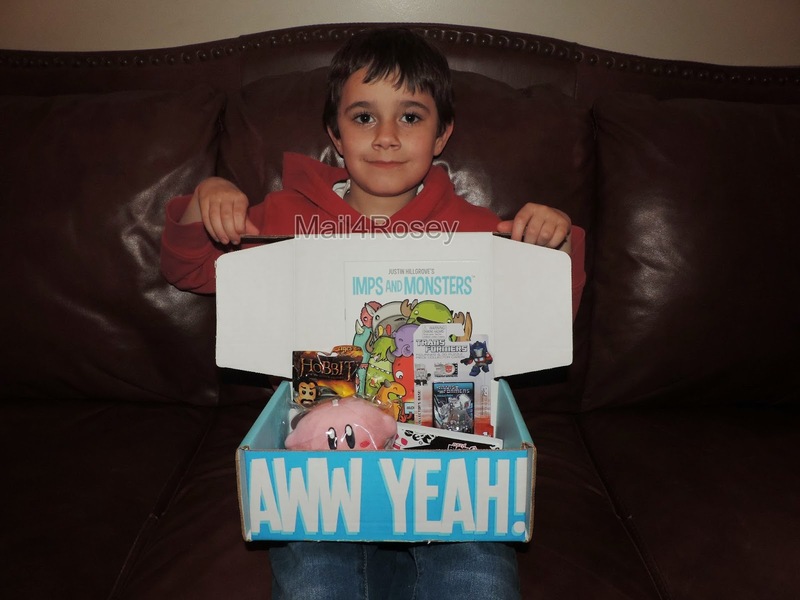 Imps and Monsters was included in the box. 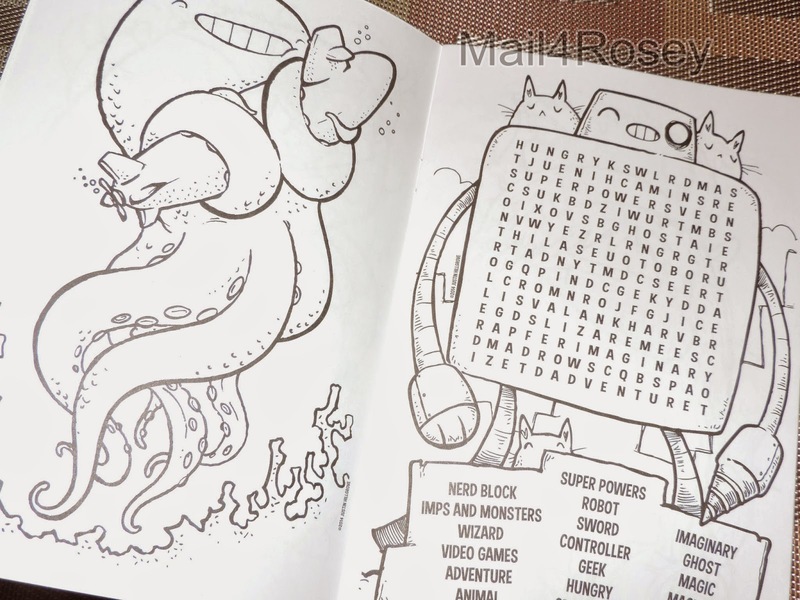 This was a softcover book full of activities for the kids to do, and it was perfect for the lengthy car ride we took to meet grandpa (for his birthday) last week. It kept the kids busy by giving them something constructive to do. 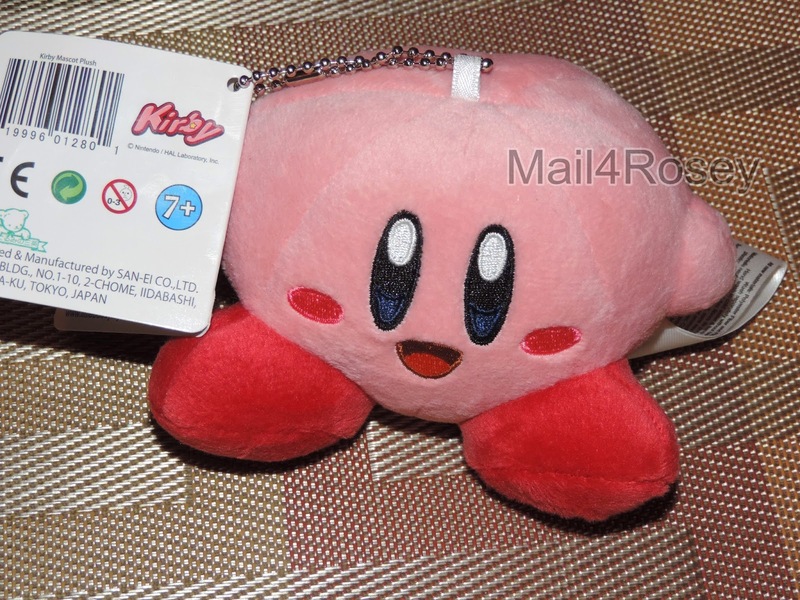 Kirby, a popular video game character, was included in the box. I thought my son was going to dismiss him because he doesn't know the game, and the toy is pink. Boy, was I wrong. My son's favorite two stuffed animals in the world are pink Minecraft pigs, and Kirby is now their little pink friend. He holds conversations with the pigs and gets tucked in with my son and his stuffed animals at night. I'm so not kidding. In fact, I think Kirby was the most loved thing in the box. These boxes run $13.99 - $19.99 a month, plus shipping, and are always loaded full with surprises like you see here in the review. You can order for a girl or boy, and delivery goes to a good number of countries (check the website to determine if you can get it where you live). The subscription can be started or ended at any time, and there is never an obligation to buy. You can learn more about Nerd Block, Jr. by visiting their website. You can also follow them on Facebook and/or Twitter. If you like what you see, and you'd like to try a box out for yourself, Nerd Block, Jr. has generously offered to give one to a lucky reader (boy or a girl, winner's choice). This is going to be a short giveaway, so hurry to get your entry in before it expires. With all the snow over here, sounds like a great way to keep snowed in little ones out of trouble! I have no children but will forward this to my sisters for my nieces and nephews! Great Share! That is SO cool. I have two mini "nerds" and they would love this so much! My kids would LOVE these boxes! I learned that the boxes are only abaout $14 each - which sounds like a great deal! Is this just for kids?? I am loving that Kirby and pretty much everything in that box. It must be exciting to receive surprises in a box every month. That is just so cute! Kyle would have loved it when he was younger. He went to Pokemon clubs to play the game. I played it with him too lol. It was fun. I miss those days! Good luck to everyone who enters! oh my - my kids would love this box. I didn't realize how cheap the junior subscription was, that is awesome. My kids will be all over this. What a fun idea. And a big surprise every month too. Holy crap! I need this in my life! Everything about this is awesome to an uber nerd like me. Thanks! I like that you get a surprise every month! My kids would love this! My two younger kids would LOVE this.. Even my autistic son would.. thanks for sharing.. going to have to check into this. I can definitely see the appeal of this. I have a couple of nephews who would absolutely love it. Wow! I would get these for myself! LOL Great deal- thank you! I was checking out the FAQ and it says that every box comes with a T-Shirt in addition to 4-6 items. Sounds like it's easy to feel like you get your money's worth from the price of the box. I will have to get one for my son. He would totally love his box. this is so cool. At 13.99, this is a good deal and fun! I learned that the boxes ranger from 13.99-19.99. I learned that the boxes are Geek Tested Nerd Approved! lol I know my 11 year old son would LOVE this box... he's really into comics and games and Funko.. all the fun stuff that comes in this :) Thanks so much for the chance! I love that they have exclusive items found nowhere else. I love collectibles. What a great box for kids to get and have a blast with! This sounds like a great item to give as a gift as well. That's so cool! It's always fun for kiddos to get mail, but THIS kind is the best! I like that they offer a lot of toys from big names, like Nintendo and Star Wars! My girls would love to get this in the mail every month! I like that its 13.99 and all hand picked. How coute! My kids would love to get one of these in the mail! I like that they have the Nintendo brand. My boys would love this! This looks like a great subscription box. It would be perfect for my younger niece. We are huge Nerd Block Jr fans. My kids love getting these boxes, and I usually can't wait to see what's in them too! 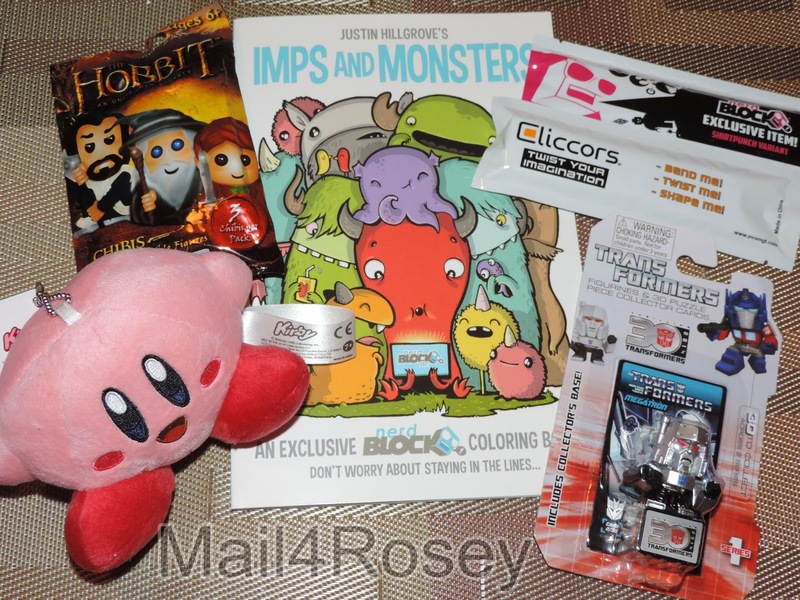 We have actually experienced Nerd Block Jr and really enjoyed the goodies we were sent. Just the surprise of seeing what's inside is a fun experience in itself. What a super fun box! I think my grown-up husband would even like it. I love how their site has a countdown clock telling you exactly how much time you have left to order. I learned that they offer both a boys and girls selection for kids, which most subscription based boxes like this do not. I just wish there was a "mixed" type option where you could get both boys and girls toys in the same box. That's a subscription box service I know would be popular here. That Kirby is adorable! I really need to learn more about these products. What a fun subscription box! I learned that the company only accept Visa and Mastercard credit cards as payment. Thanks. that's really neat...I love fun subscription box like this. I like that it comes with a shirt. My daughter would like getting her own little box of goodies in the mail. Nice that you can cancel anytime you want. Definitely getting a subscription for my daughter around her next birthday! What a great subscription box! I would like to order several different monthly subscription boxes, but sadly most of them do not deliver to Spain. That Kirby toy is really cute! I love the idea of a monthly box of gaming type goodies. My son would love this! I like the look of the girls box. If this is Nerd Block Jr., I need Nerd Block, Sr. I'll bet the kids love this. When I was young, I belonged to a National Geographic club that sent boxes. They were fascinating. I like that they offer a selection for boys, girls and adults. I also like that its for gamers and movies. March box now available! This looks like a great subscription box to get. My kids would love it to. This would make a wonderful gift for my son. I like that the price is reasonable too. Thank you! I grew up reading LOTR/Hobbit. So seeing the movies made was a dream come true for me. 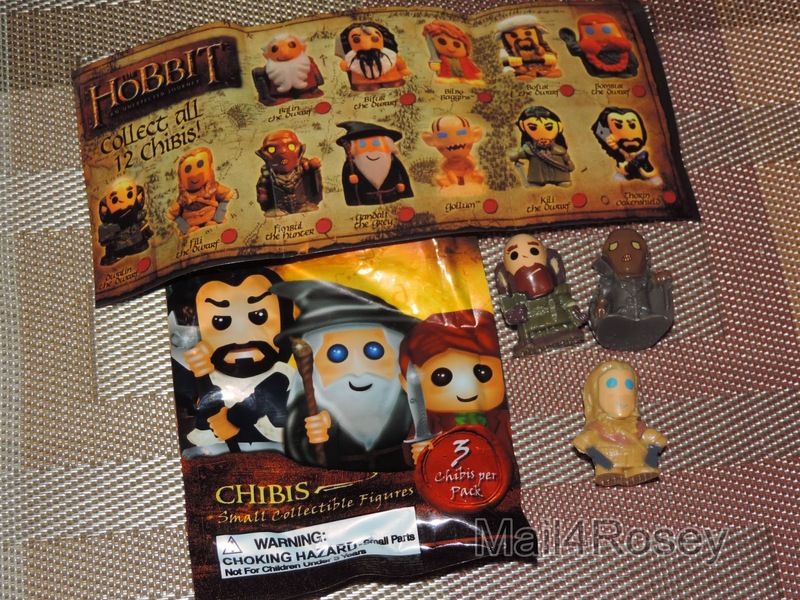 I don't really collect too much, but these little Hobbit toys are adorable and would make the perfect desk display! So cute. I love subscription boxes - Davey would love this! Checking it out! LOVE the Nerd boxes! I need to set up this subscription for my oldest. I love that it's all hand-picked! They are only $13.99/mo. :) That's not a bad price. This is so cool! I would really like to get one of these boxes sometime. I learned that every box comes with a t-shirt in your size! My son would freak over this! I am definitely signing him up! I learned that they offer three different types of adult boxes, so you can tailor it to your interests! This would be a great gift for young kids or adults. Age appropriate for young kids! I like that they have exclusive items found nowhere else! Our Grandson loves getting things in the mail. This would be a super box to get him. I need to enter but on this computer away from home.... I can't get things to load. I will be back later and try. I love this concept and that you can get all of the variety of geeky stuff! Nerd Block is filled with toys and collectables from your favorite brands including Star Wars, Adventure Time, Doctor Who, Marvel, and many more! I see they have Star Wars and Marvel... that would make for one happy boy here! My son would love to get some pokemon themed stuff. I like that my daughter would get a surprise every month. All kids feel important when they get mail. i learned they have 5 different box subs. including ones for little boys and girls. thanks for the chance to win. I learend that a subscription only costs $13.99 per month. I like the various pieces put in the box and how they specialize for girls and boys. This looks like kids would love it! Nerd Block is a monthly mystery package delivered right to your door filled with nerdy apparel, toys, and collectables! The subscription is reasonably priced. I learned that the items selected are put through a series of in-house testing based on quality, brand association, collectability, and most important – fun factor. I like that there is a theme specifically with girly stuff. I know my daughter would love to get a box of My Little Pony or Hello Kitty stuff every month. I learned that a subscription is only 13.99. I learned that the boxes contain licensed merchandise, hand-picked by a selected team. I love the price and that you get a t-shirt and 4-6 items in the boxes, I think that is a really good deal!